Many kids dream of growing up to be rockstars. While few of them ever make that dream a reality, it’s still fun to fantasize about even in adulthood. You won't have to be good at guitar to win over the ladies. All you need is a good costume and a little bit of rock ‘n roll attitude. (But knowing how to play an instrument could always help improve your chances). While we can't help with the musical abilities part, we can get you a pretty sweet costume fit for a rockstar. Hit the stage as KISS frontman in this Authentic Paul Stanley Costume. 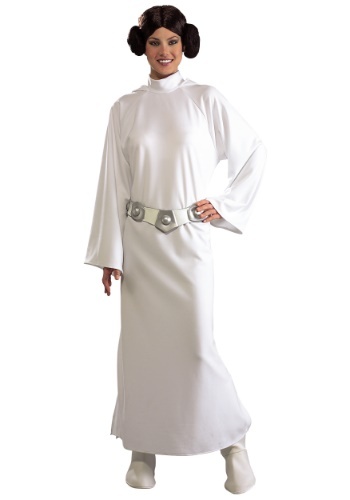 This costume is perfect for a concert, Halloween, or for displaying your superfan status! 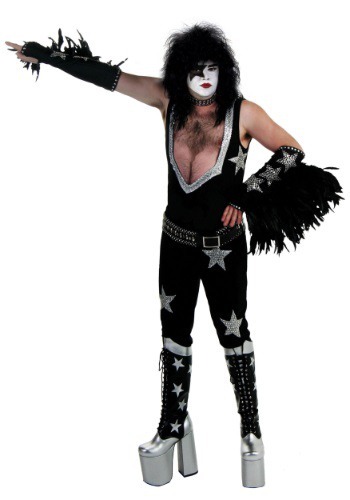 This authentic, officially licensed Paul Stanley costume comes with everything you need to create his signature stage style. 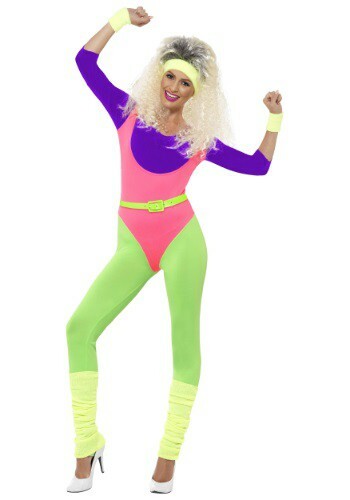 The costume is a nylon/spandex blend, so you know it’s comfortable enough for all night wear. 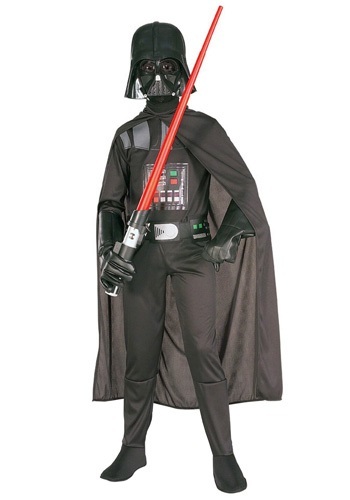 The costume body is made up of two parts, a black tank shirt and a pair of matching pants. The shirt has an elastic waist so that it stays in place even during your rockstar moves and the pants also have an elastic waist for a comfortable fit. Velcro attachments secure the shirt to the pants so you can move freely without baring your belly. The studded choker necklace attaches with Velcro in the back, with some adjustment available to fit your neck properly. 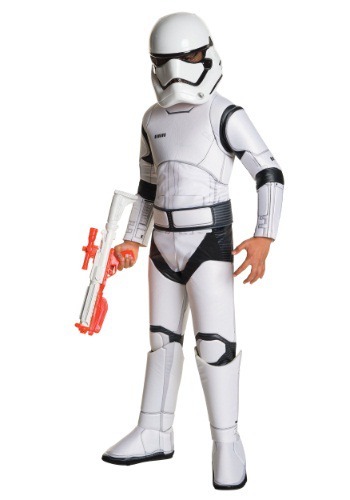 The pants have loops for the belt, which is not included with the costume. Be sure to add the finishing details by adding a wig, belt, makeup, and, of course, his signature boots!